The newest Kars4Kids small grant recipient is the Hathaway-Sycamores Child and Family Services of Southern California. We like to tell our readers about the work of the various organizations we help. But this particular mental health and welfare agency is running so many important programs that it was difficult to know how to describe its good work to our readers. In the end, Hathaway-Sycamore suggested we choose one program for our spotlight. We settled on The Learning Lab, which serves Northeast Los Angeles area youth at risk by providing them a safe place to study in the hours after school. Students at the Learning Lab have access to a computer lab where they can do their homework and print out assignments. The kids enrolled at the Learning Lab also receive intensive tutoring, both privately and in groups. Kars4Kids: What does it take for a school to recommend a student to be accepted to the Learning Lab? Mabel Ramirez: One of the great things about the Learning Lab is that we don’t have requirements that students have to meet to be recommended to the program. That allows students to be recommended for a variety of reasons from low grades in one or more subjects to homework help. 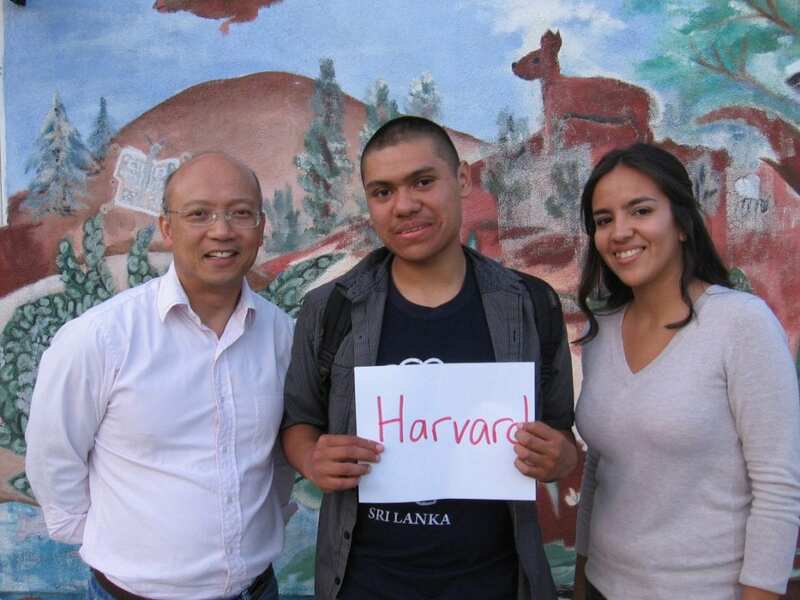 Kars4Kids: Reading about a student like Valentino Gonzalez who, with the help of the Learning Lab, was in the 97th percentile with his SAT scores and received a full scholarship to Harvard, is just a huge wow. How many hours would you say were dedicated to this one young man? What were his grades like before he got to the Learning Lab? Mabel Ramirez: I can’t speak to Valentino, but I can speak about youth that we have in the center now that are on a similar path as Valentino. Our most dedicated students come in to the center anywhere from 7-10 hours a week. These are students that are coming in almost on a daily basis to receive homework support. They also log extra hours when they taking part in enrichment activities, like when we participate in community events. Our goal with dedicated youth is to raise their grade point average and maintain it at a competitive level so when they reach senior year they have as many options as possible for college. Kars4Kids: What is the secret sauce to getting these kids to perform? Is it force of personality? One-on-one tutoring? Availability? Dedication? Or is it something else? Maybe you see something in these kids that nobody took the time to see? Mabel Ramirez: Our relationship with the students and parents is one of most important factors in achieving positive results. Our persistence and devotion set forth an example to them and as serve as a reminder to them of the importance of their education. Nurturing these relationships demonstrates to students that people do care and do believe in them. Investing the time to build relationships with parents is also critical because they are the door to let us know what is happening with the students beyond our walls. They connect us to feedback from teachers that sometimes students aren’t willing to share. Aside from being educators, we also play a critical role in their social development by encouraging appropriate social interactions between students and ourselves as mentors. Building that support system for students and their families has proven to be a key factor in students’ performances. Kars4Kids: Tell us about the summer College Prep sessions. Mabel Ramirez: For our summer SAT Workshops we partner with local high schools whose students would benefit from the workshops. They are offered free of cost to the students and schools. Students participate in a rigorous 4-week program where they review math and English material that appears on the test. Students also review test taking strategies. In the past, students have improved on average 15-17 percentile points. SAT scores can play a big role in college admissions; therefore it is important that students are as best prepared as possible. The workshops’ intent are to be that vehicle that can get the students SAT scores at a competitive level to that of their peers in other parts of the country. Kars4Kids: The 2012 video about Simon Gee tells us there’s a waiting list of 500 students who want to get into the Learning Lab. But not everyone is a Simon Gee. How do you find talent like that and how can we make that more accessible to failing students who’d otherwise be condemned to a really dim future? Mabel Ramirez: We have been really fortunate to have had great success with recruiting a team, staff and volunteers, which is truly devoted to the success of our students. We’ve had success in finding great volunteers dedicate so much time to students who are seeking their help. It takes recruitment, outreach, and a lot of team work to attain great volunteers and staff. Our volunteers are always willing to share stories about the center which encourages others to volunteer. We try to make coming in to the center to work with students a rewarding experience for everyone involved. Kars4Kids: In that same video, Connor talks about practice sessions for college interviews. What kinds of skills might these children be lacking that children from more upwardly mobile homes and schools might naturally have? Mabel Ramirez: Opportunity and experience is the biggest difference between our students and other students from more upwardly mobile homes and schools. Most of our students aren’t provided with the opportunities that allow those skills necessary in the professional workplace to be developed. Underdeveloped areas can include basic interview skills, public speaking skills, and the awareness of nonverbal communication. Those skills can be crucial to students who are looking for employment and educational opportunities. Students can lack the self-esteem needed to communicate how they would be an asset to a team, organization, or institution of education because they haven’t been exposed to those situations. Kars4Kids: How do you motivate kids from such grim backgrounds, in a city with the highest poverty rate of all the major American cities? Doesn’t it look like there’s nothing but that grinding cycle of poverty beckoning in their futures? How do you give them hope? Mabel Ramirez: When students come in, it’s almost understood (unspoken truth) that education will be critical for them to escape those low-income jobs their parents currently hold. We assist them by guiding them through the challenges and keep them focused. Staff members work to instill work habits that will hopefully stick with students throughout their educational and professional careers. It’s also important to inform students of the options available to them after high school; to get them thinking about their big picture, beyond senior year of high school. So many of our students come from communities where resources are scarce, so we try to fill that void. Most of our students have parents who are immigrants and are new to navigating the U.S. education system, so being a source of help for students and their families provides that hope. 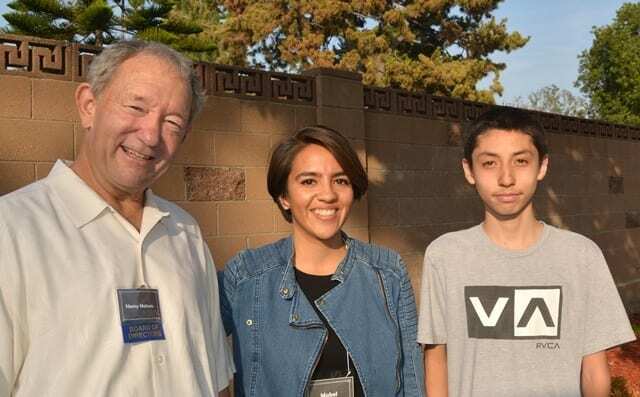 Kars4Kids: How do you awaken an Alejandra Negrete, someone withdrawn, someone who lives in a shelter for families running from abuse, who sees school as just something that happens as part of her daily routine, and not as a way to get ahead? Mabel Ramirez: It’s important to connect families to other resources when their needs fall beyond our capacity. If a family is struggling to get food, academic success is not a priority- survival is. Connecting families to the appropriate resources to get them to a stable state is essential to students’ success. Beyond that, we’ve found that just being there for students works best. Some students come in to the center to escape those hardships for couple of hours a day. Others might come in and carry that with them. For students who are withdrawn are experiencing difficult moments, some days might be better than others. Being there for whatever need the student is looking to fill helps foster a relationship with the student. Through that relationship we are able to connect with those students to get them performing academically. Kars4Kids: If you could wish for anything you wanted for the Learning Lab and the kids there, what would that be? Mabel Ramirez: Two things, more guest speakers / role models with similar background stories to the students; who have “succeeded” (college degree/careers). It can be reminder to them that they can break this cycle of poverty. Secondly, more field trips to universities, museum, etc. to help expand their horizons and expose them to experiences outside of their neighborhoods.